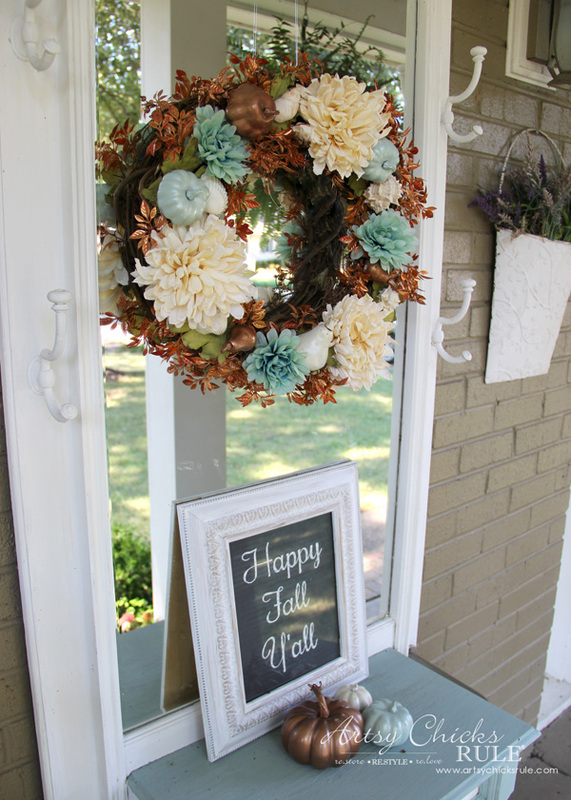 It's hard to believe that fall decorating is upon us! Before we know it we will be decking the halls as well. Time goes by so fast. I enjoy decorating for fall early. There is just something about pumpkins at the front door that make me so happy! I asked some fellow bloggers to share their Fall Entrances with me because I know I need some inspiration this year! We are in for a treat! Get you pinning fingers ready. Be sure to pin images that you love from that blogger's site so they get the traffic back to them! This is my front porch so far for this year! I'll be adding fresh pumpkins and mum later this week! You can see my fall tour here and here.